Before I became a mother, I was really into crafts especially making greeting cards and paper crafts. I have missed the creative outlet and stress relief of making crafts. But life with a toddler is so busy that I rarely have time to blog so making crafts is usually bottom of my list. But recently, Ava has been really interested in coloring and crafting herself! 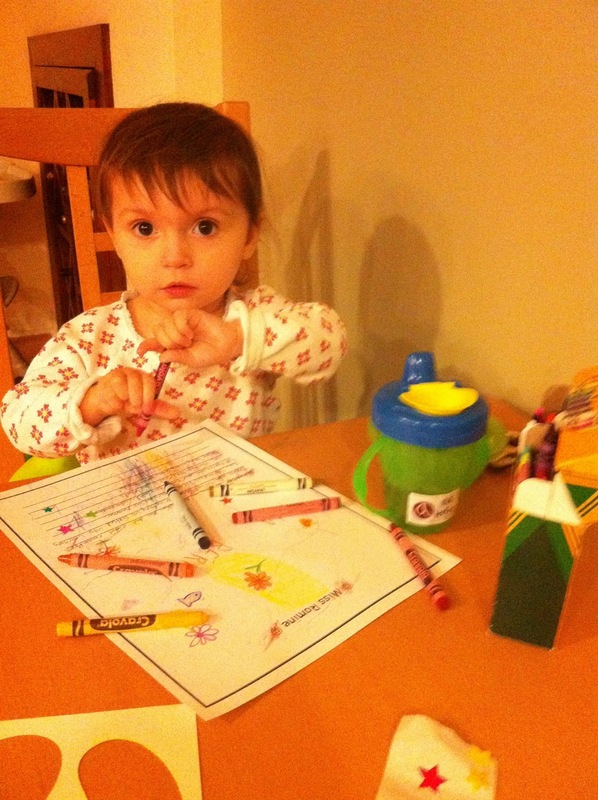 Because I have so many supplies, I often pull out my colored pencils, stickers, and papers for her to play with and I'm thrilled that it captures her attention for quite awhile. 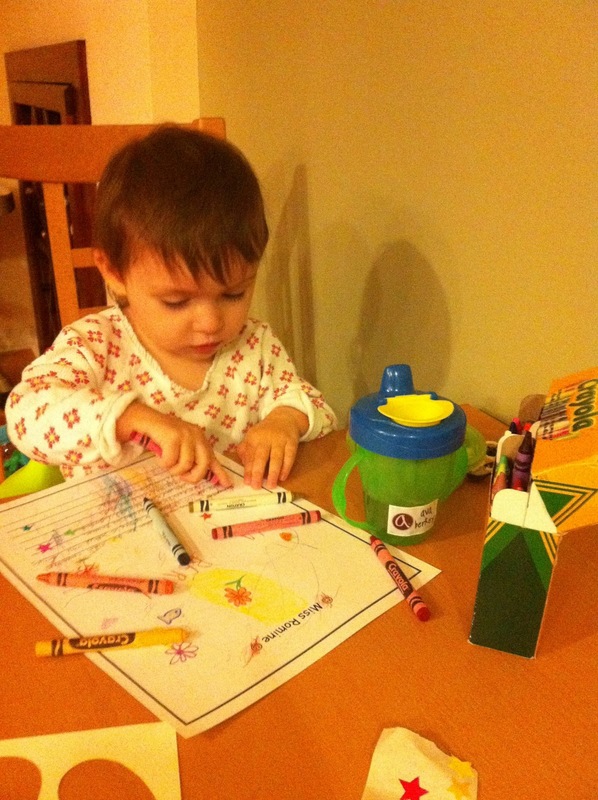 Sometimes, she will spend 20 minutes sitting at the table and it helps her hand eye coordination! I consider working on crafts a stress relief activity, especially on a weekend afternoon when you want to decompress from a busy week. 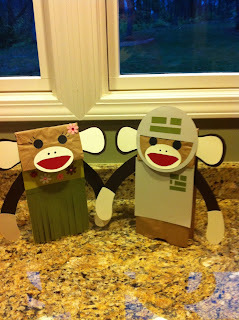 A couple weeks ago on a cold Sunday, I decided to make some monkey puppets from a kit that I got from Paper Source during a recent trip to Chicago. There are 5 different patterns in the kit and Ava picked the astronaut and hula dancer. 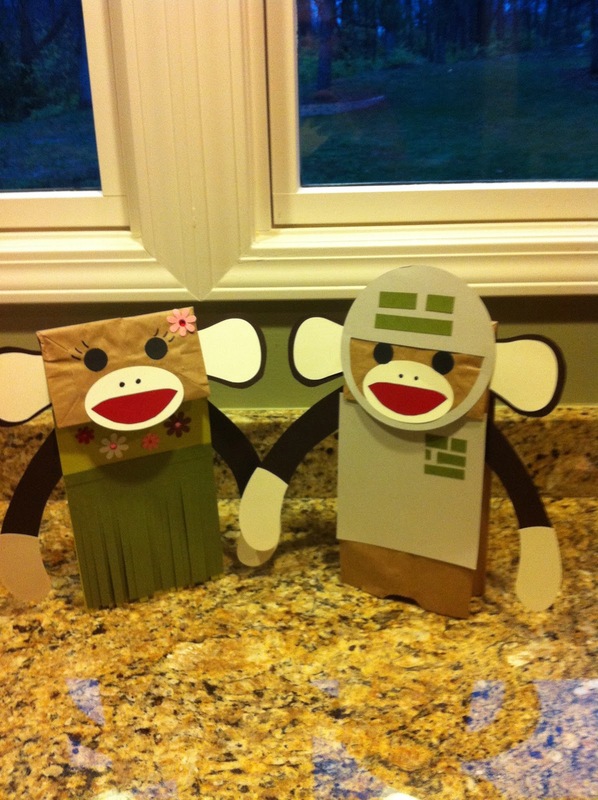 She had fun with a big box of crayons while I made these puppets. While I worked on the puppets, I gave her the extra scraps of paper and she drew on a page for a memory book for a daycare staffer that was leaving. Ava has been enjoying looking at the puppets. I gave them to her to play with and she wanted to pull off the flowers from the hula monkey. Funny girl! I look forward to many years to come with sitting at the table crafting together!